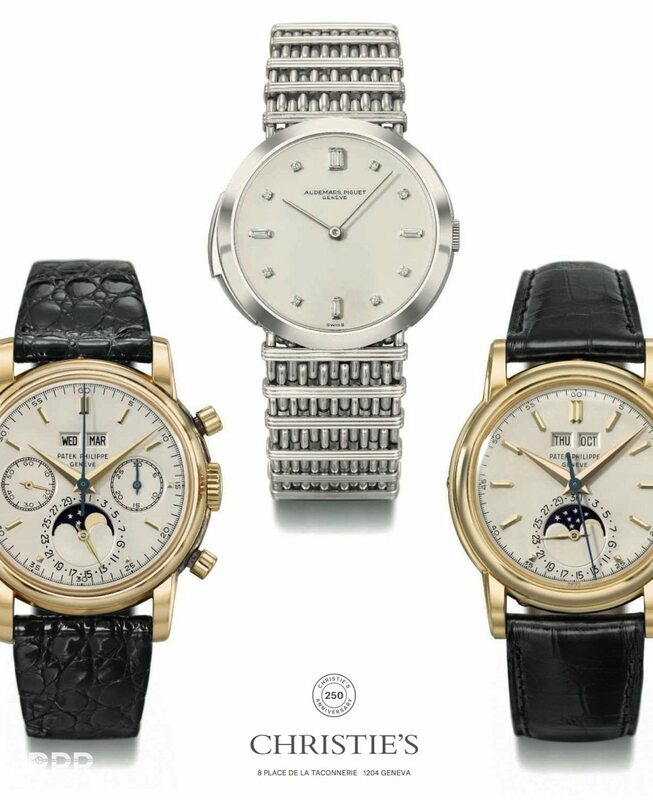 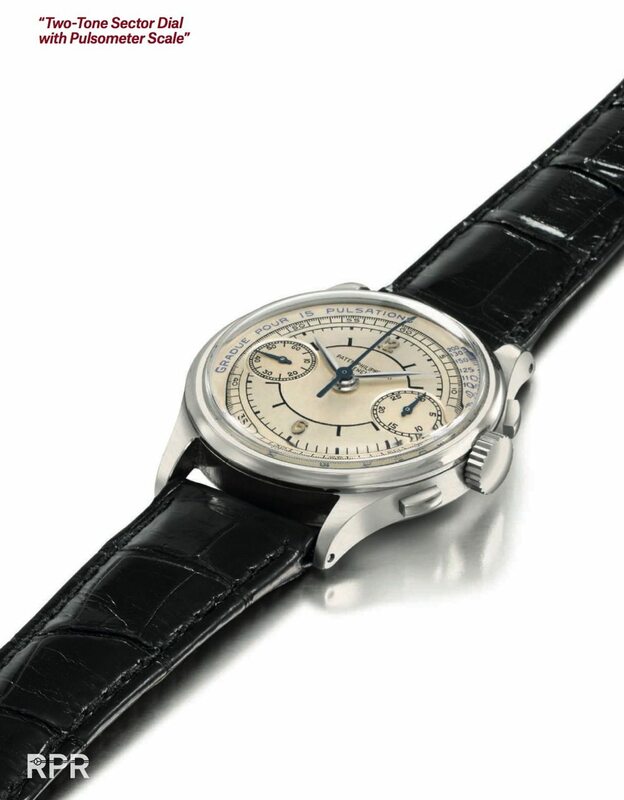 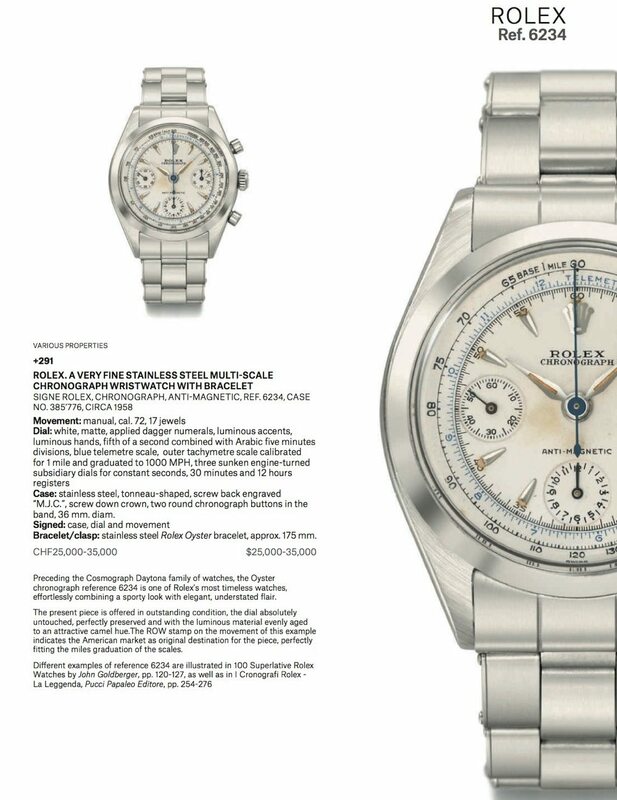 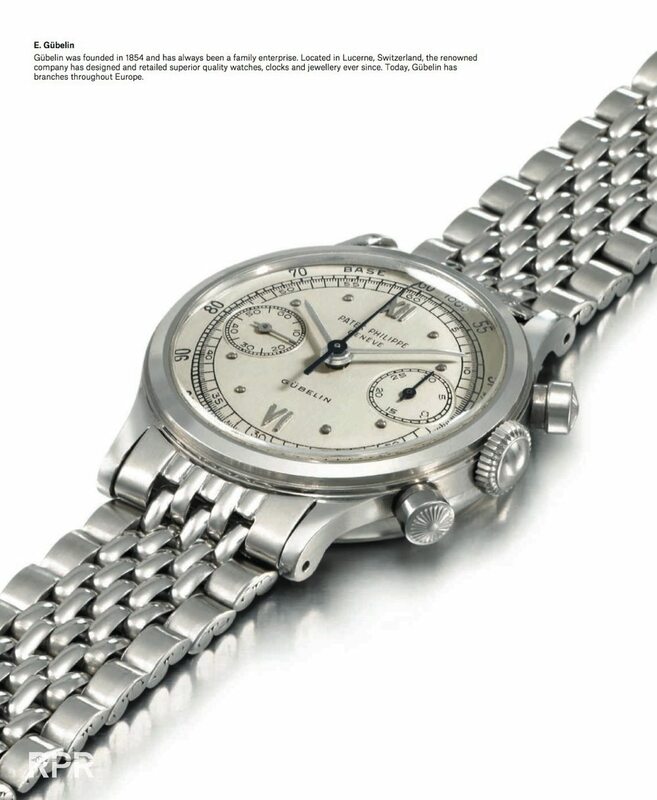 On Monday November 14th the Geneva important watch sale of Christies will be held at the Hotel Des Bergues. 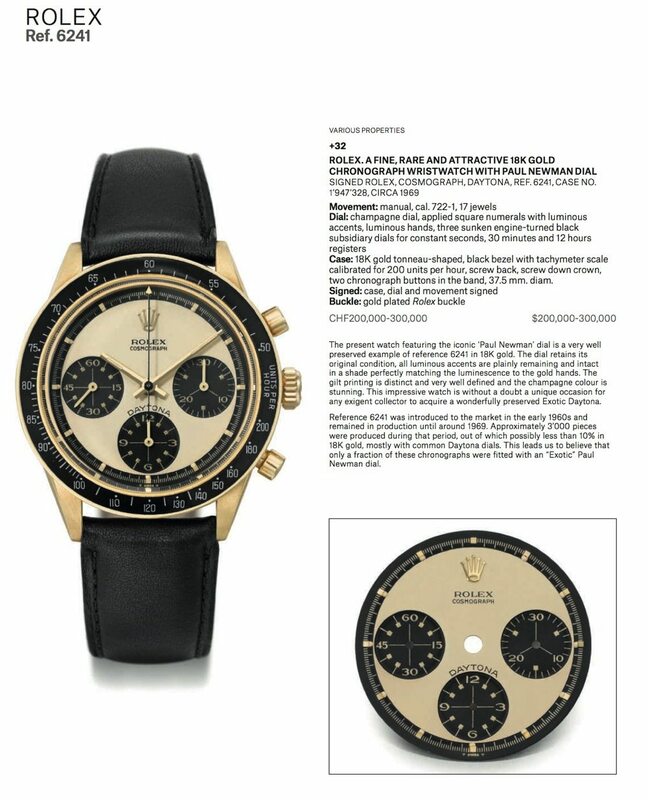 The team of Christie’s did a great job finding some serious rare and nice examples for their sale. 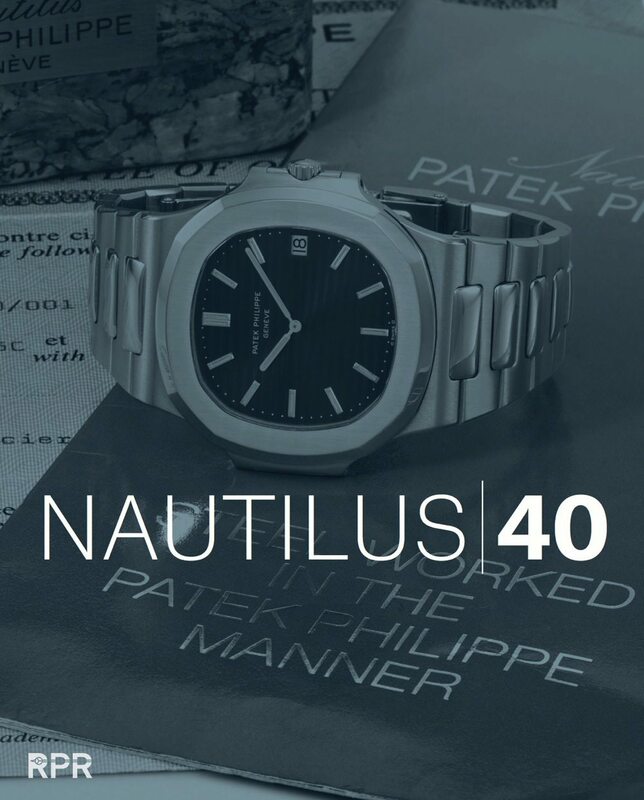 Besides the normal offers, Christie’s is honoring the Patek Philippe Nautilus for it’s 40th anniversary with a special sale dedicated to this iconic model designed my master brain Gerald Genta. 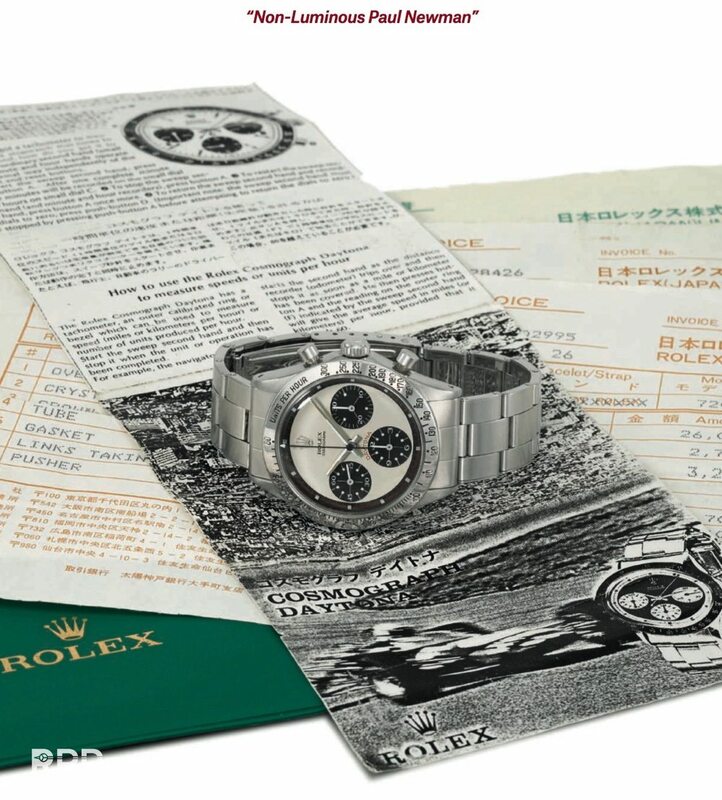 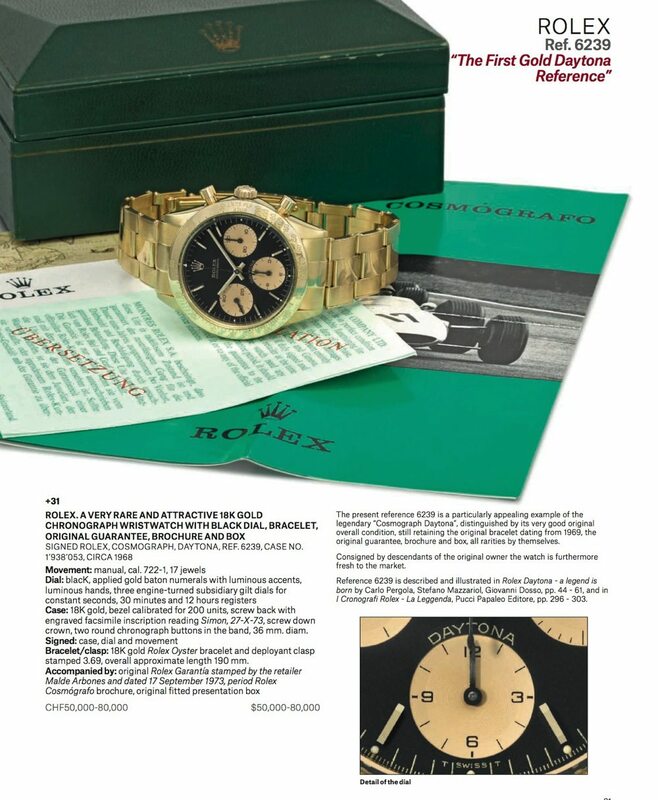 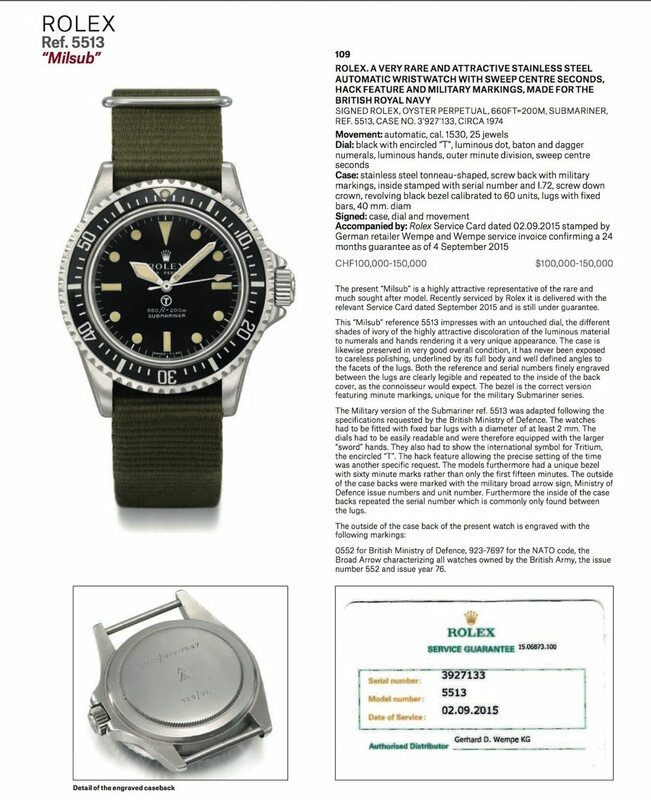 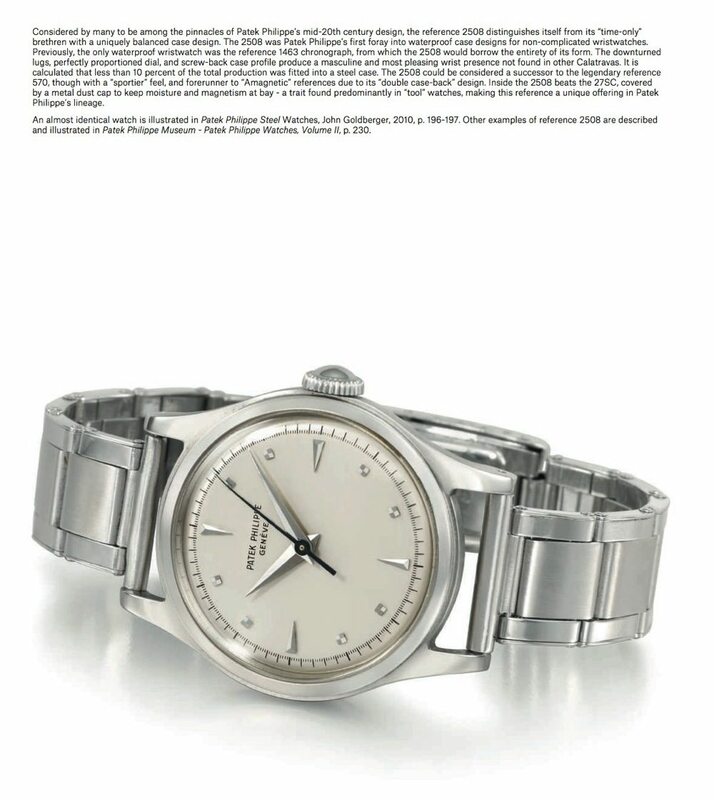 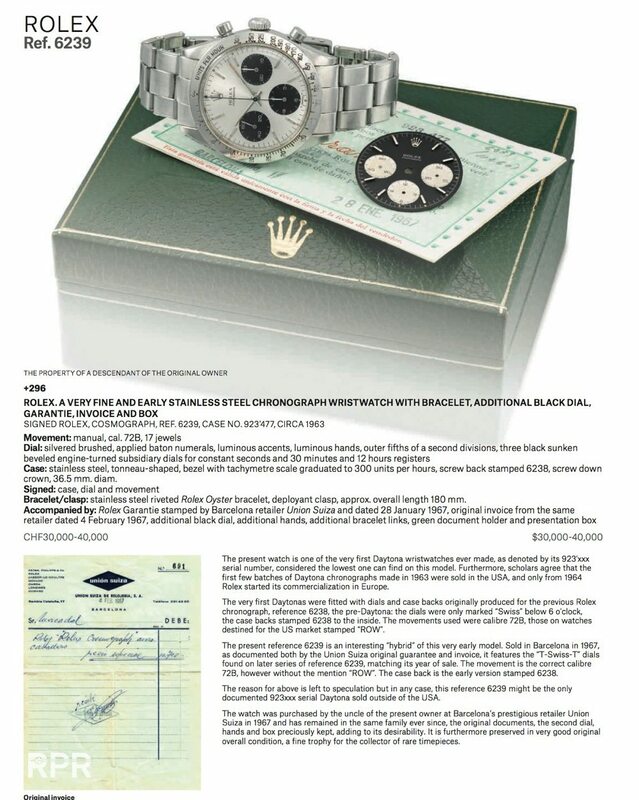 But before I show you some highlight from that sale, I like to start with the vintage Rolex offers on sale. 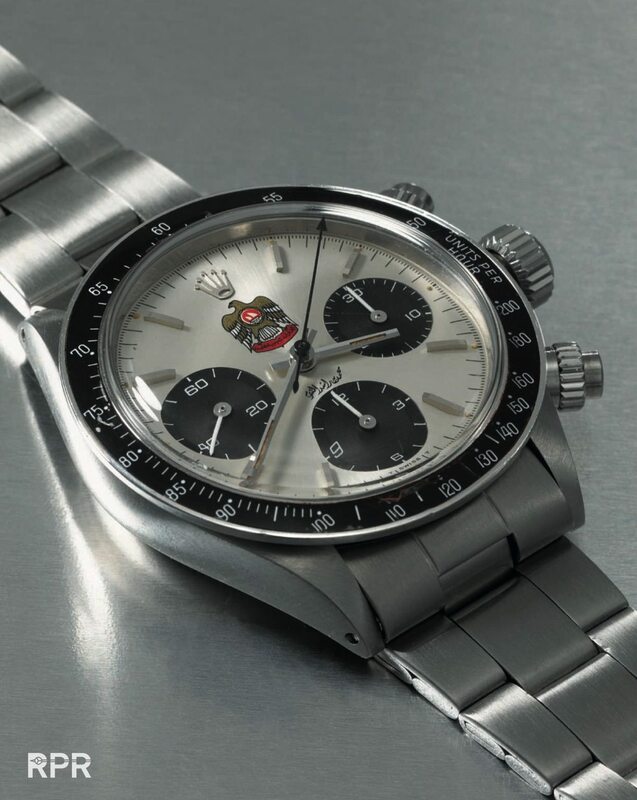 Stainless steel black dialed Rolex Ref 2508 with olive shaped pushers. 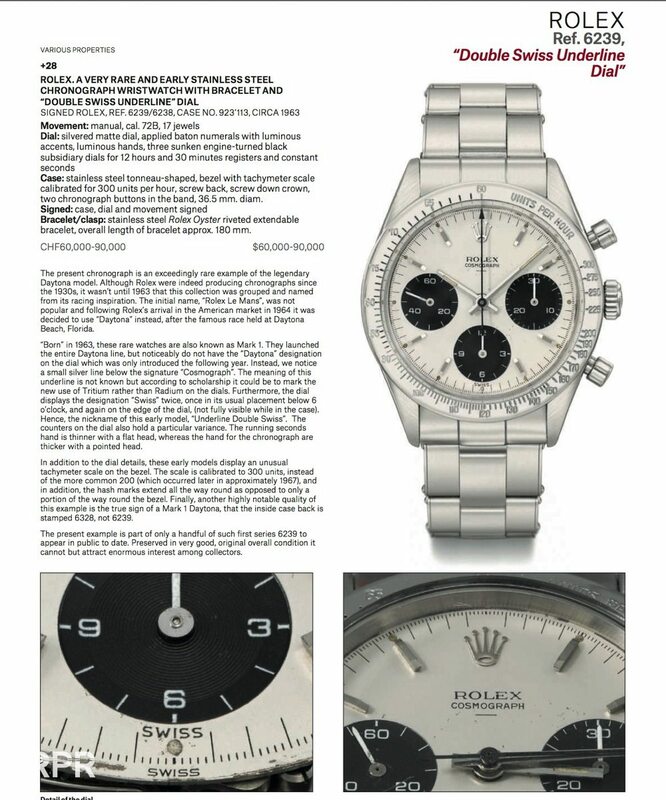 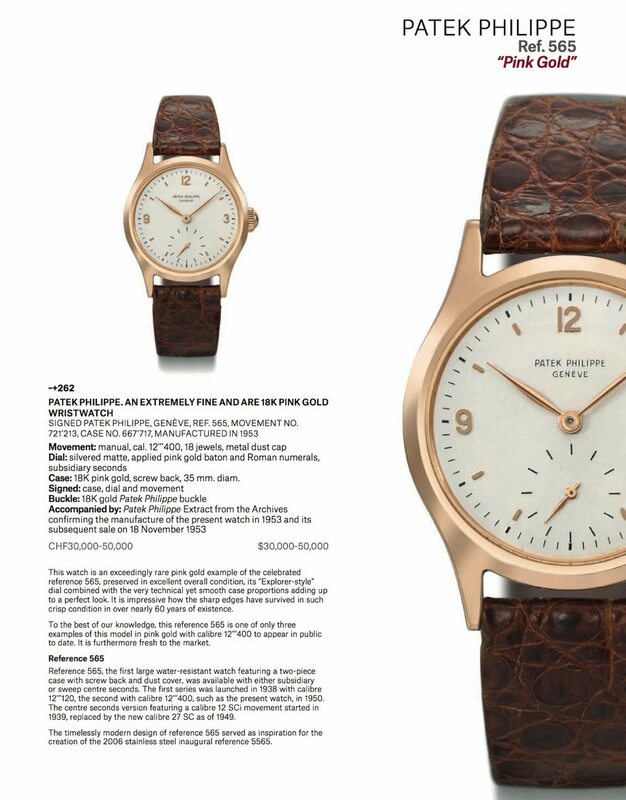 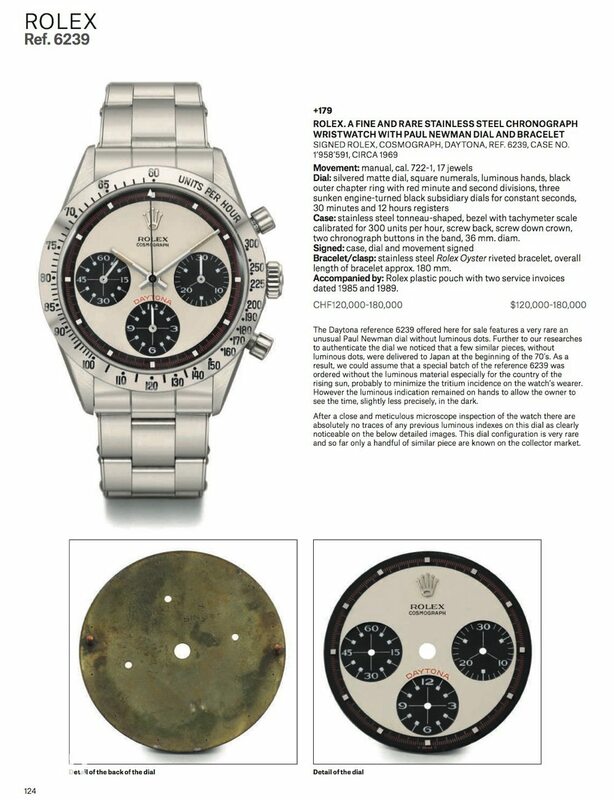 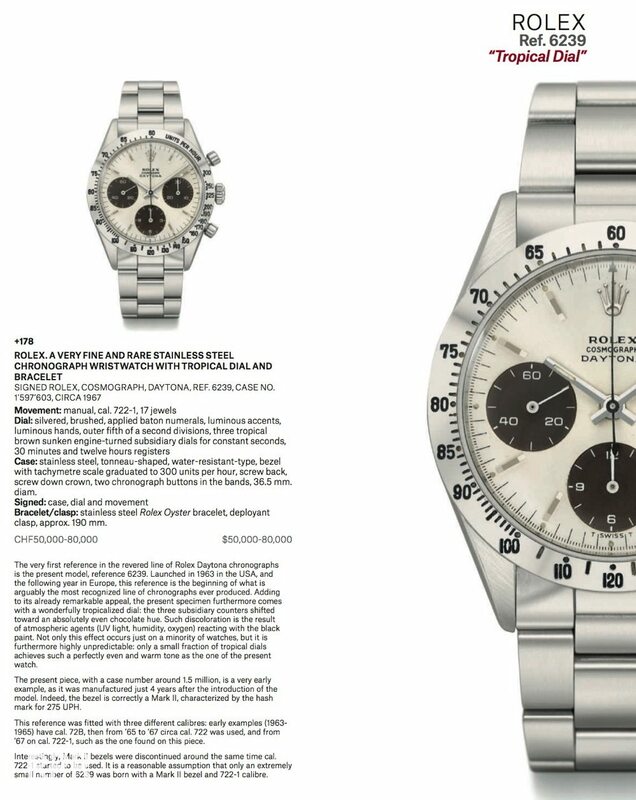 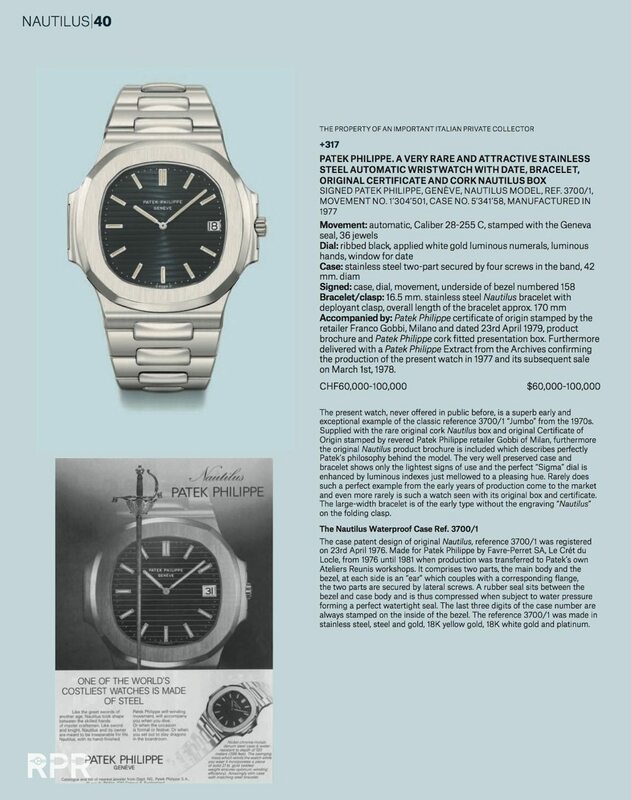 The same Christie’s sold a similar example with serial number 037651 for a steady CHF 341.000 last year at their May 2015 sale in Geneva, following this link to the auction. 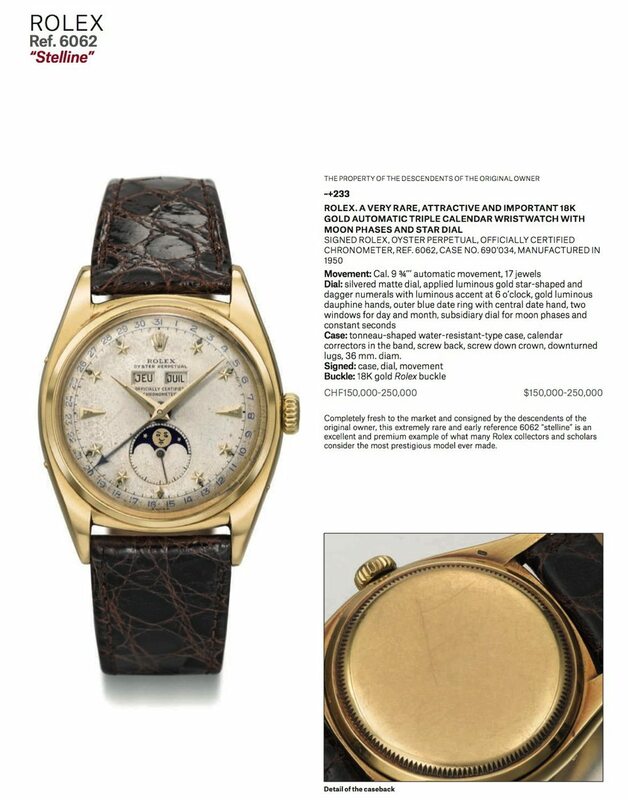 Next is this legendary Rolex Big Crown Ref 6200 thats estimated conservatively for $100-150.000,= and for sure will go higher. 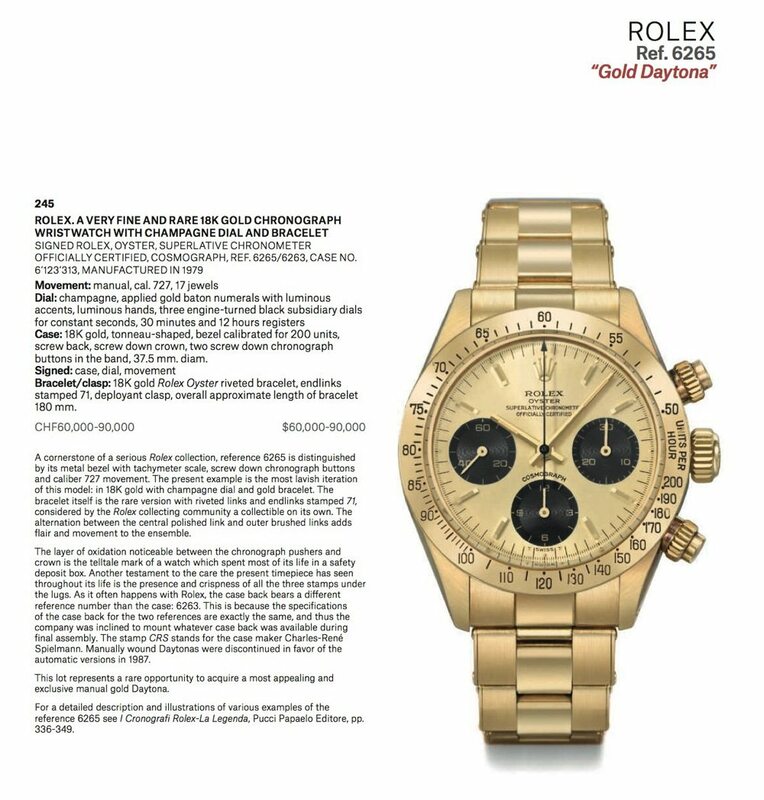 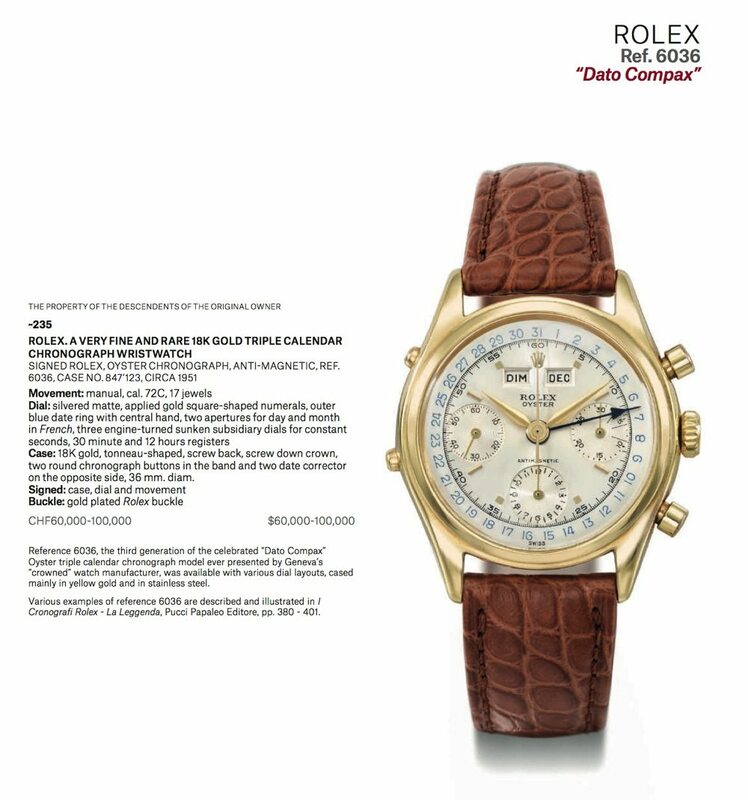 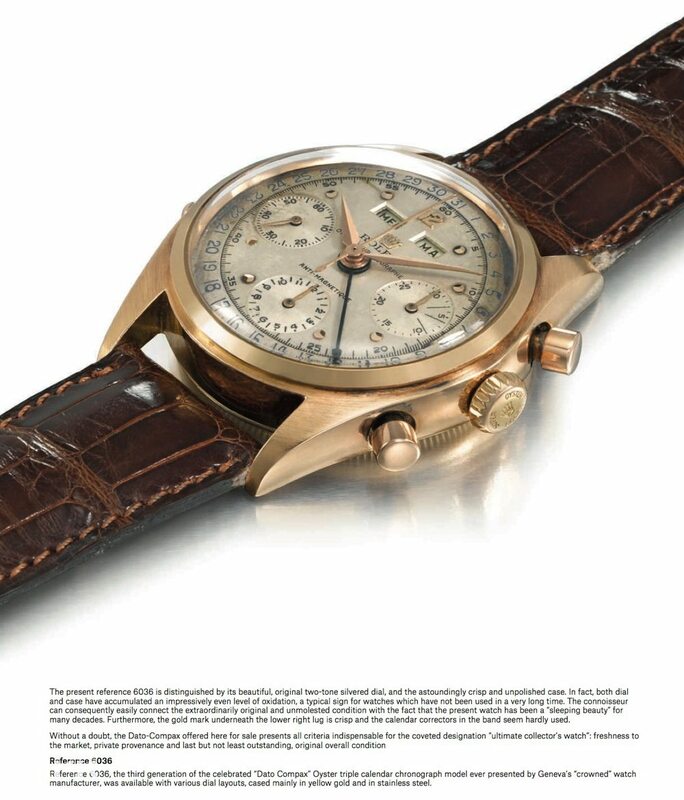 Next is this pink gold Rolex Ref 6036 Killy with an estimate of $ 180-280K and certainly will hit that number..
Amazing to see how populair the normal Paul Newmans have become. 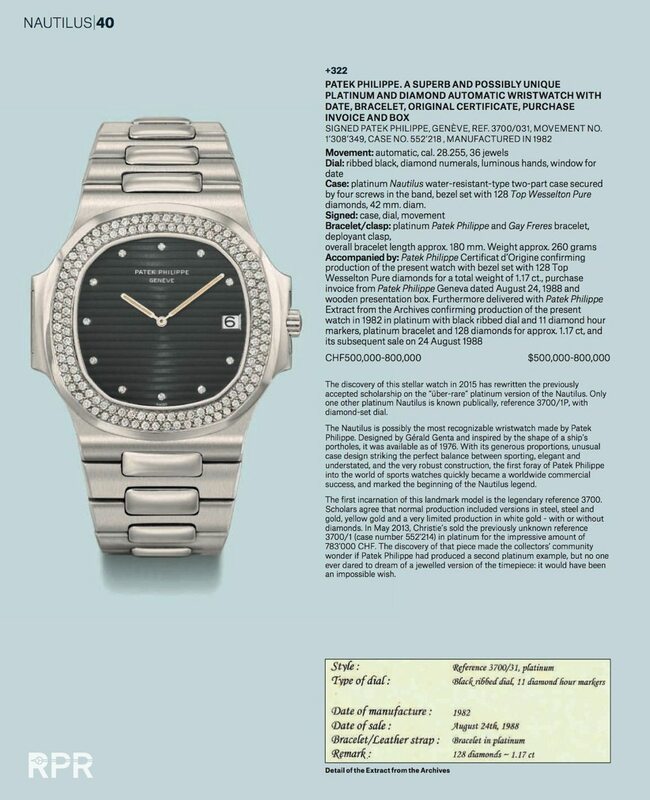 Prices have tripled in like 5-6 years to an impressive estimate of 120-180K for following Ref 6239…. 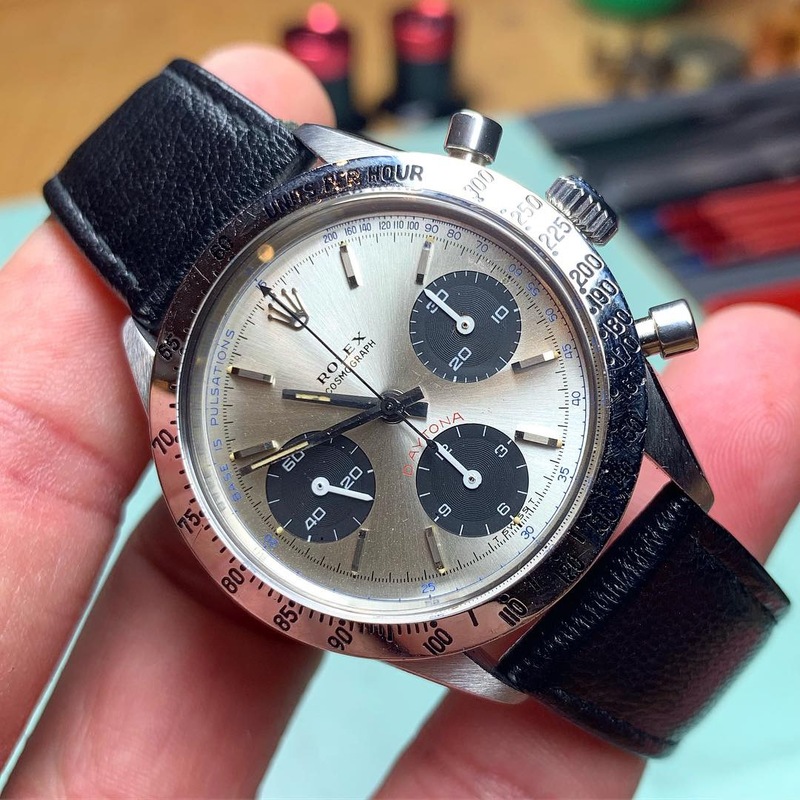 Seems like they never go up although these are very rare to find in honest condition. 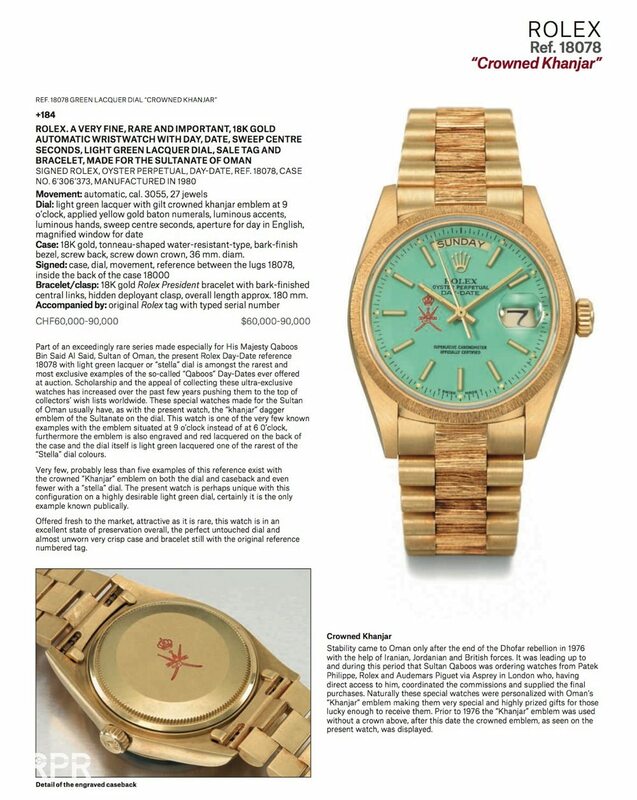 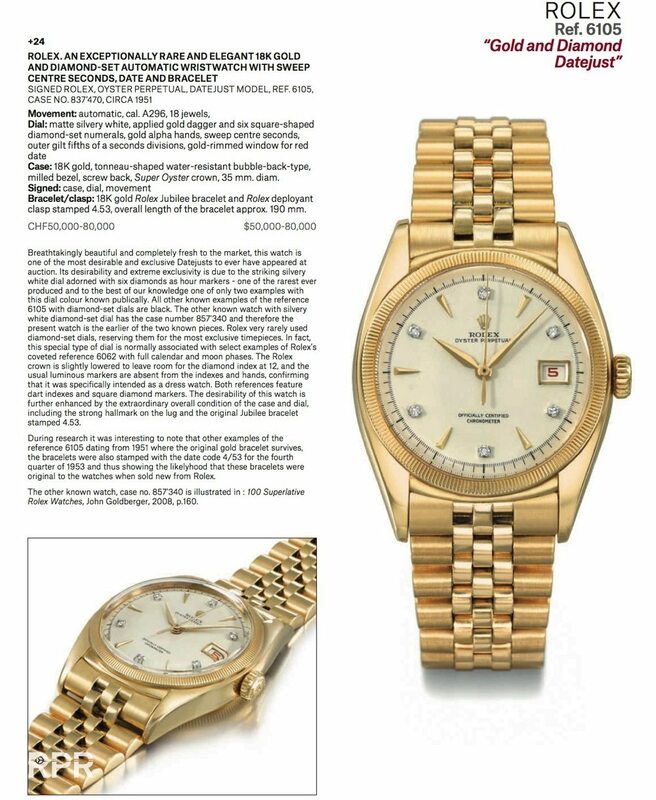 For a cheap 25-30K it’s estimated now..
A yellow gold Rolex Killy Ref 6036 is estimated at 60-100K…. 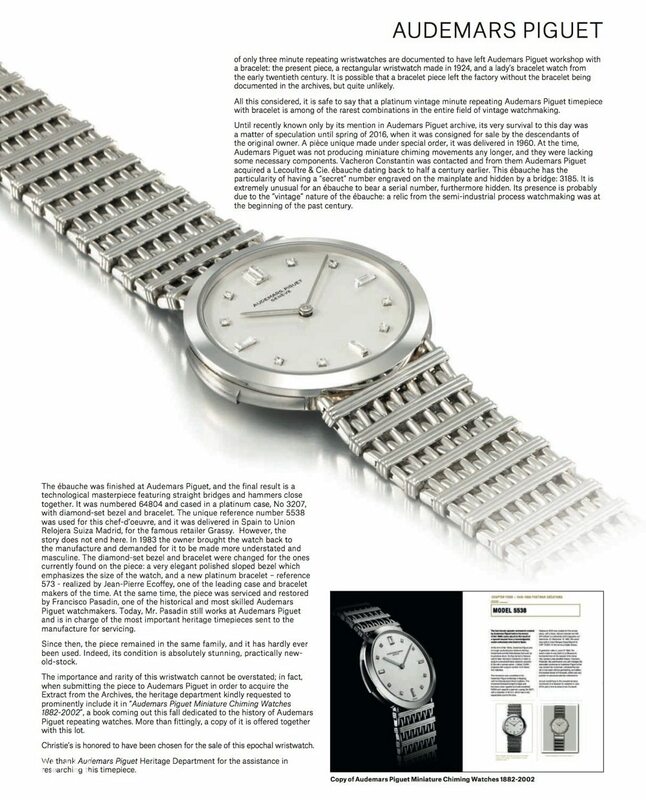 The looks of following ref 2508 on the straight end oyster bracelet is just marvelous. 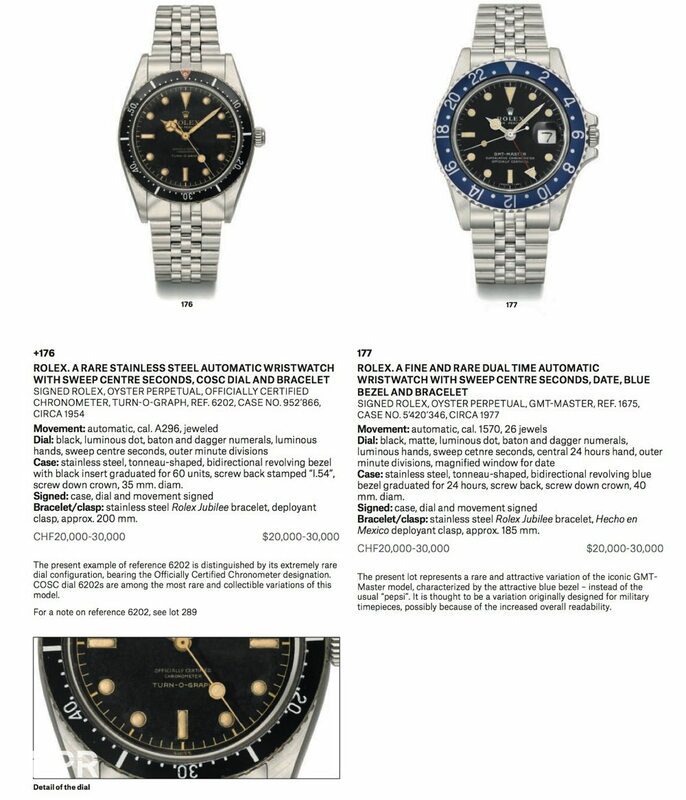 Estimate is as well, 80-140K! 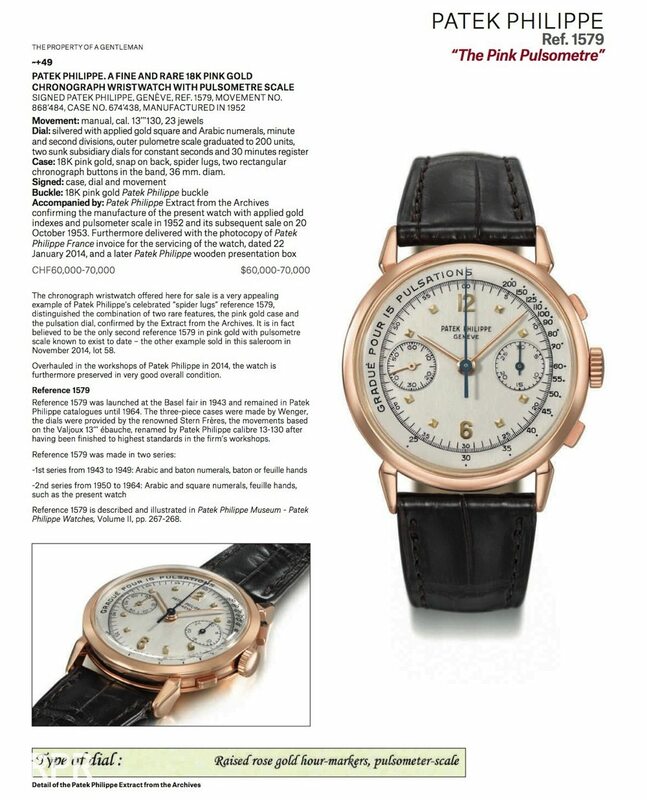 Pink Pulsometer ref 1579 is estimated at only $60-70.000,=…. 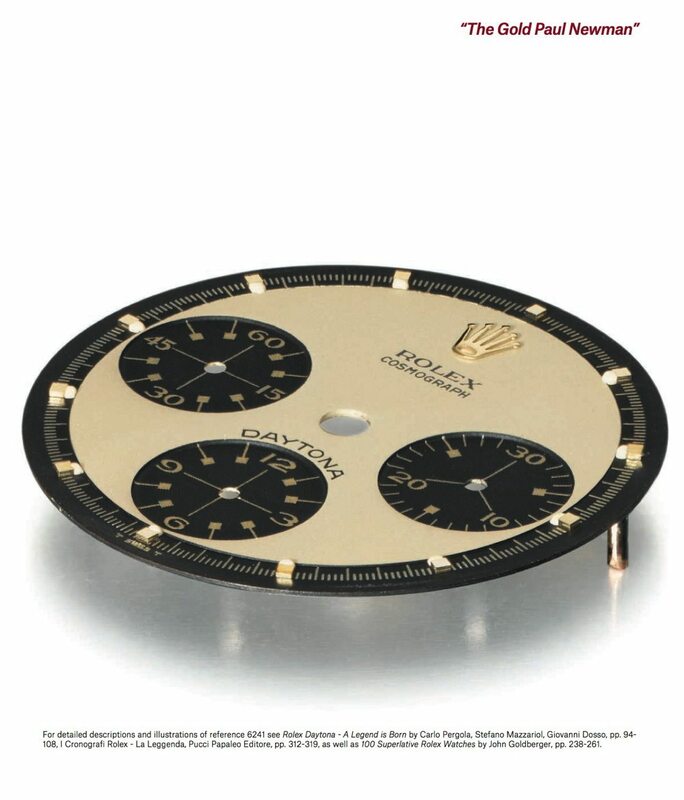 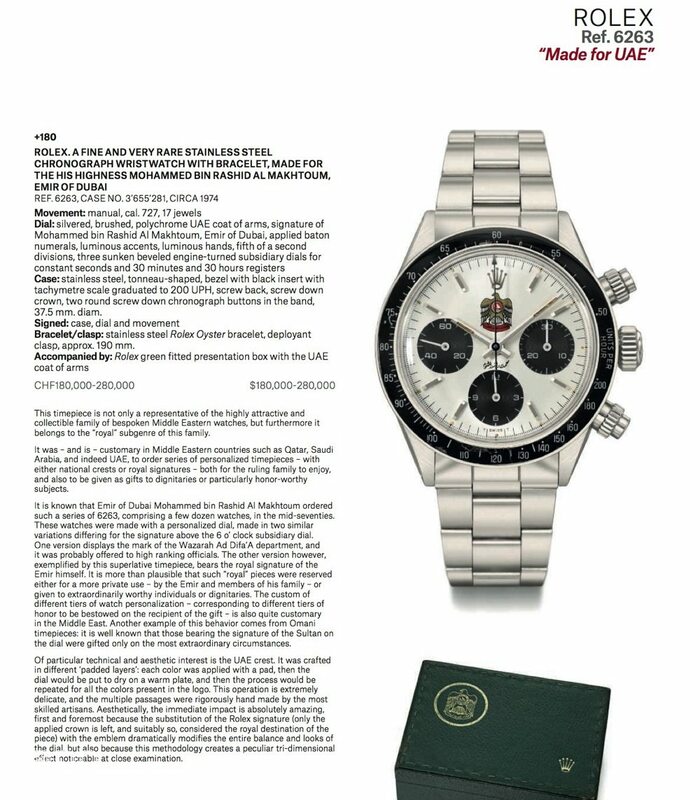 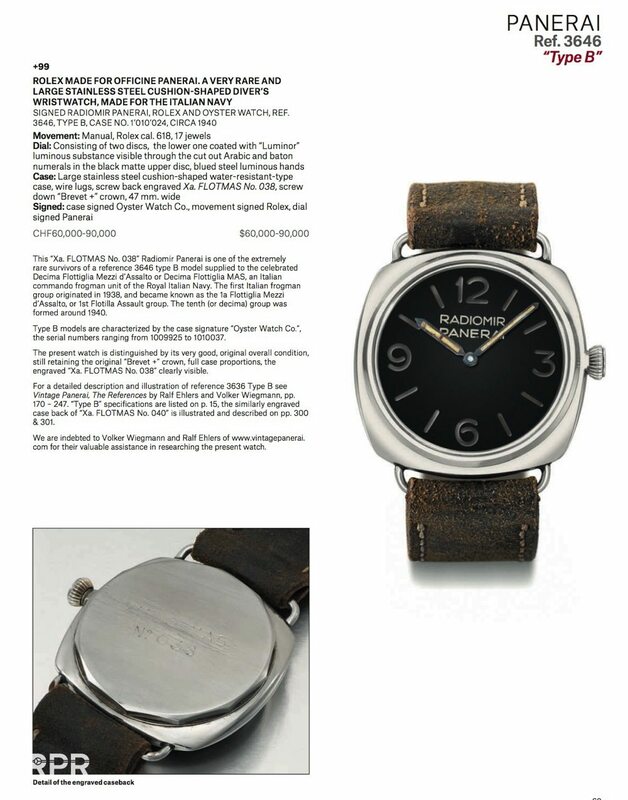 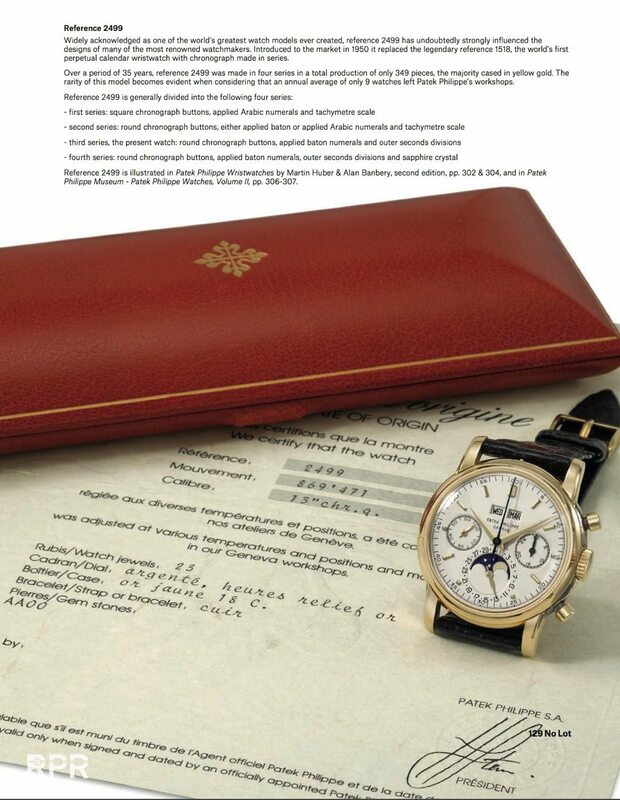 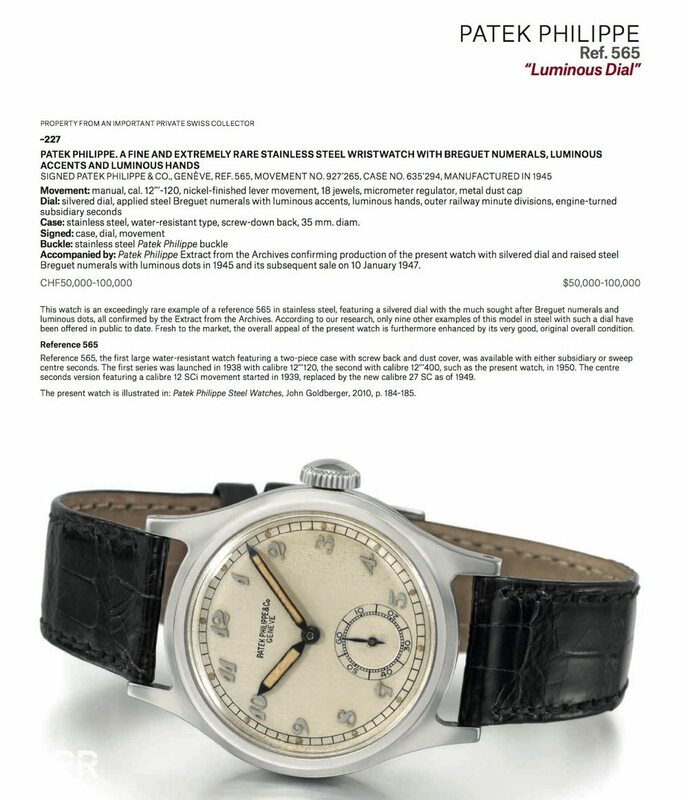 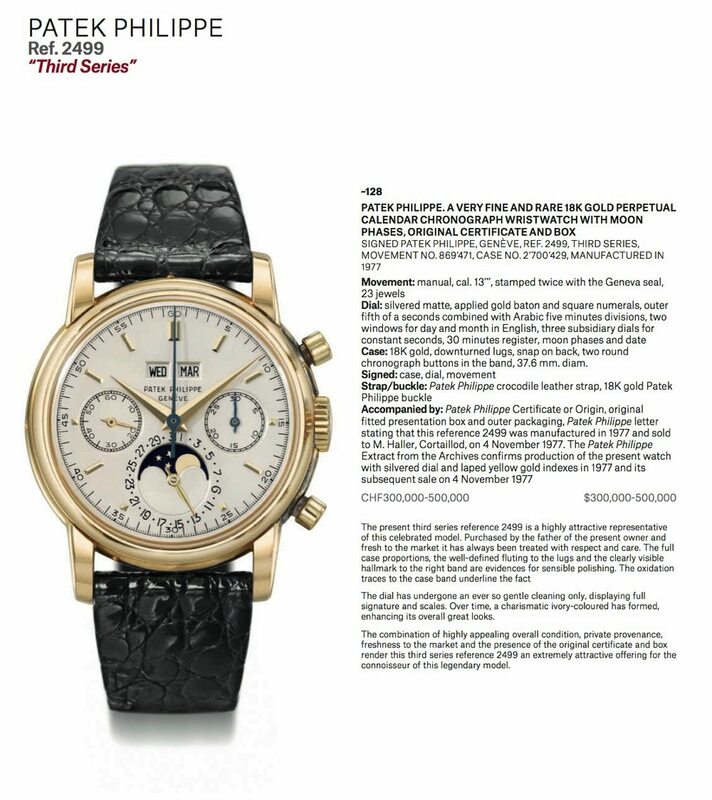 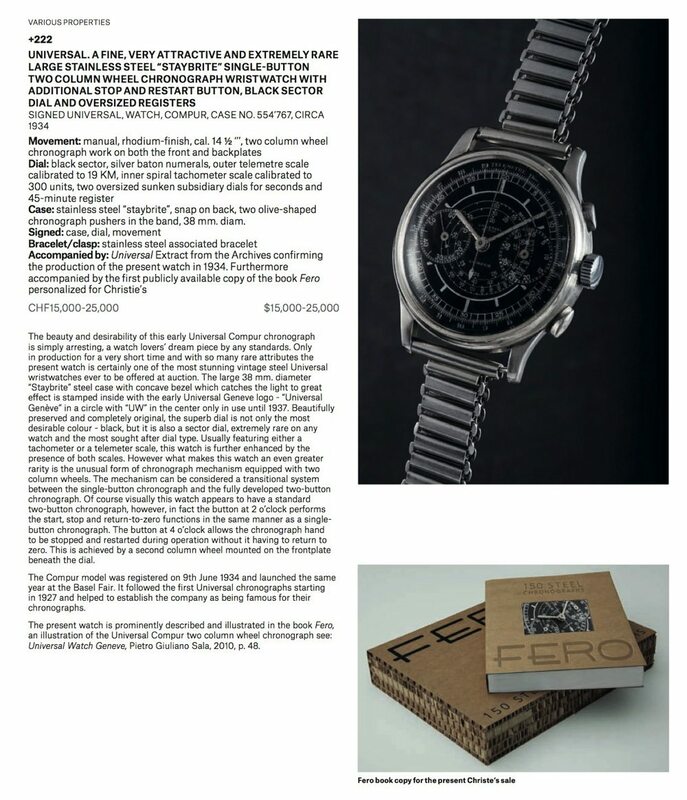 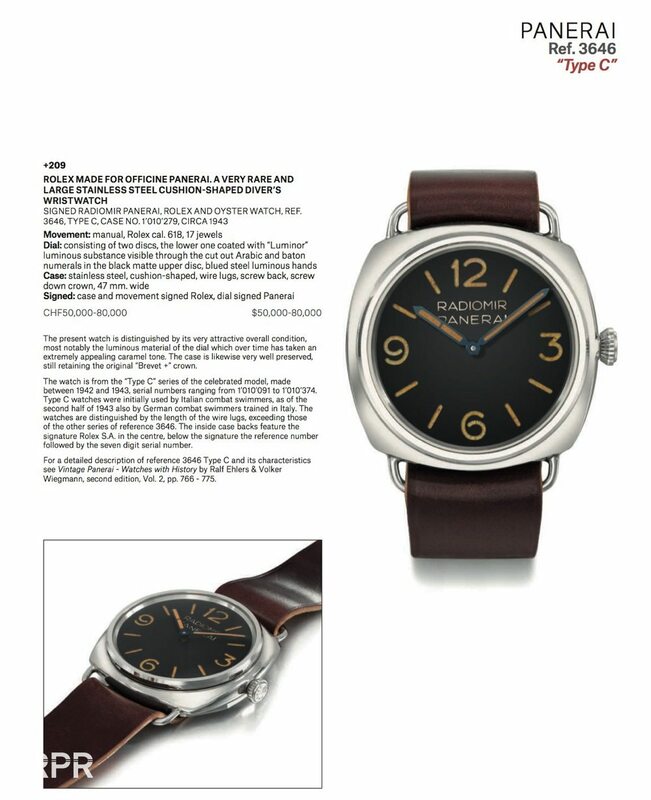 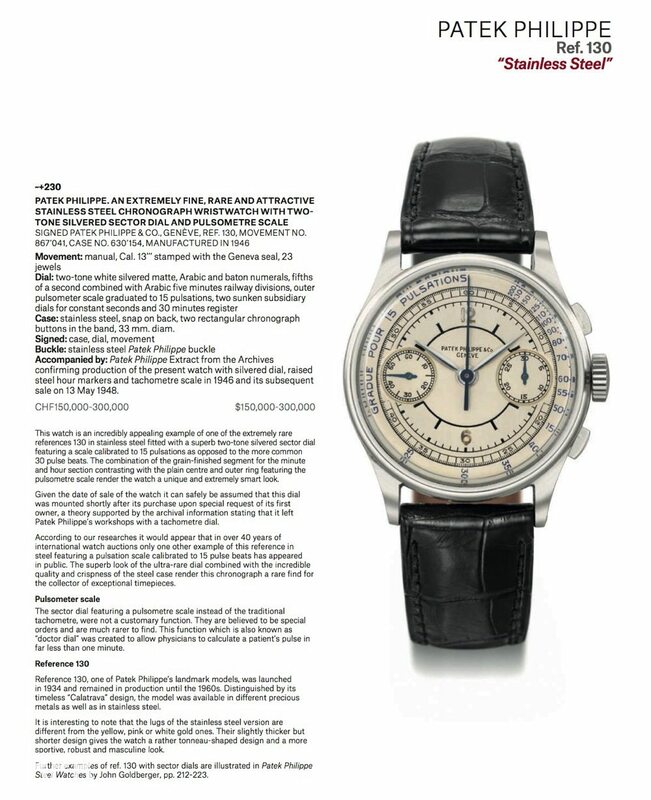 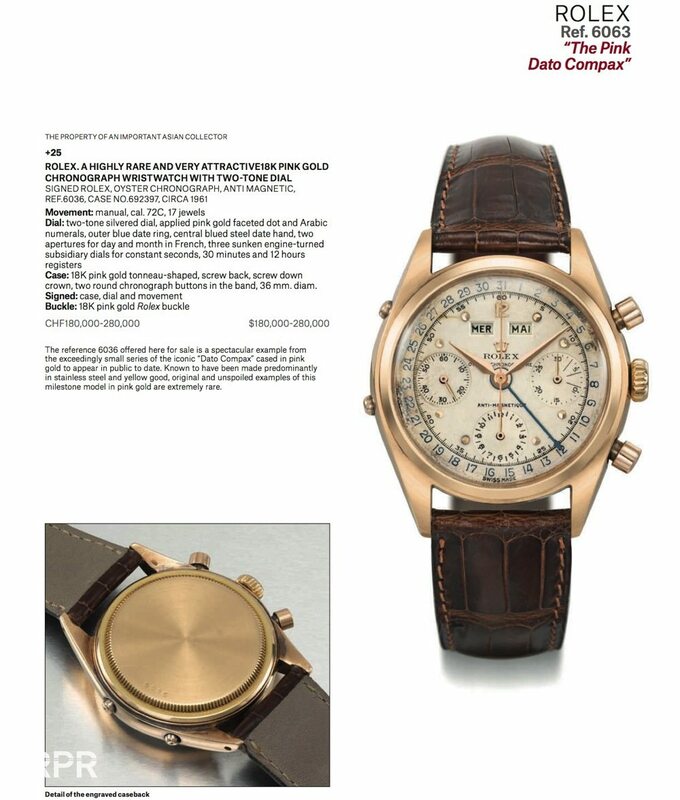 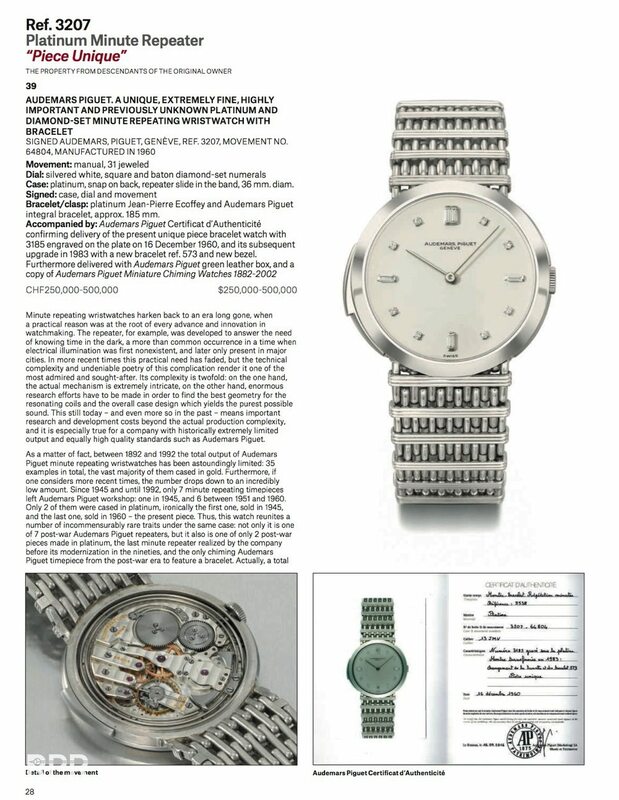 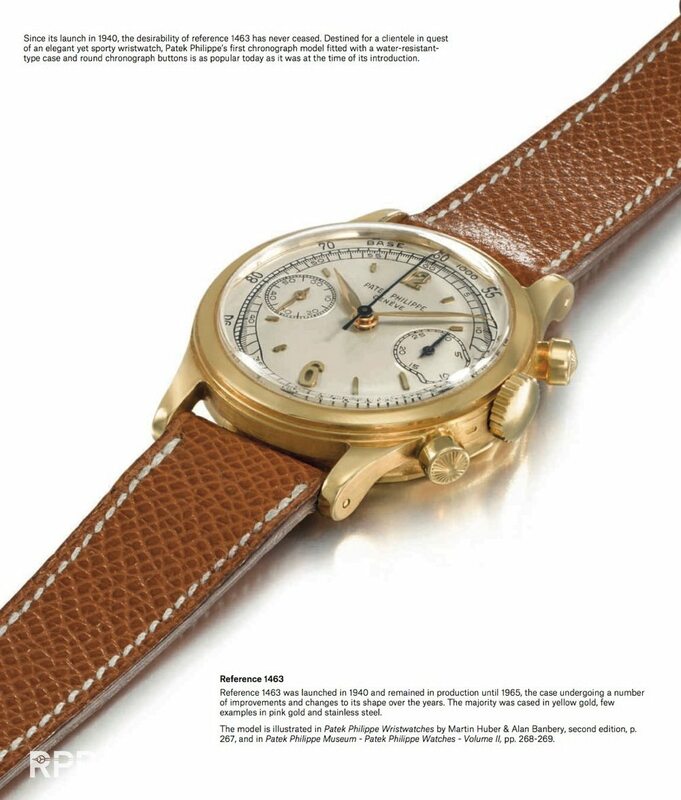 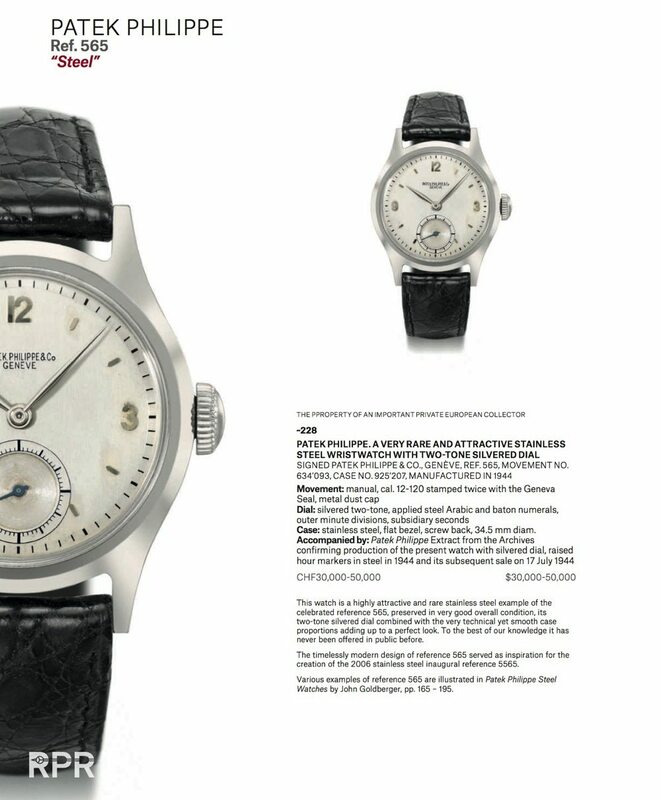 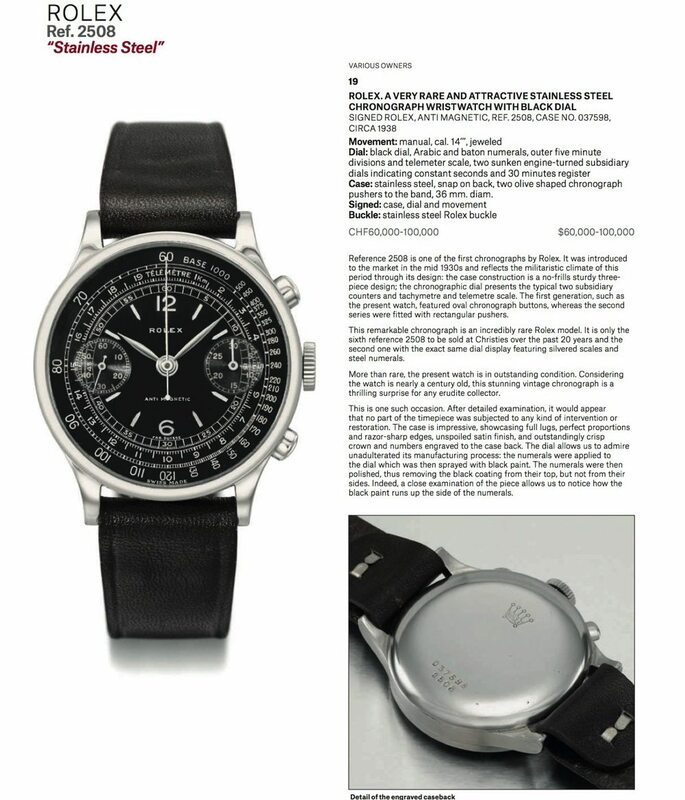 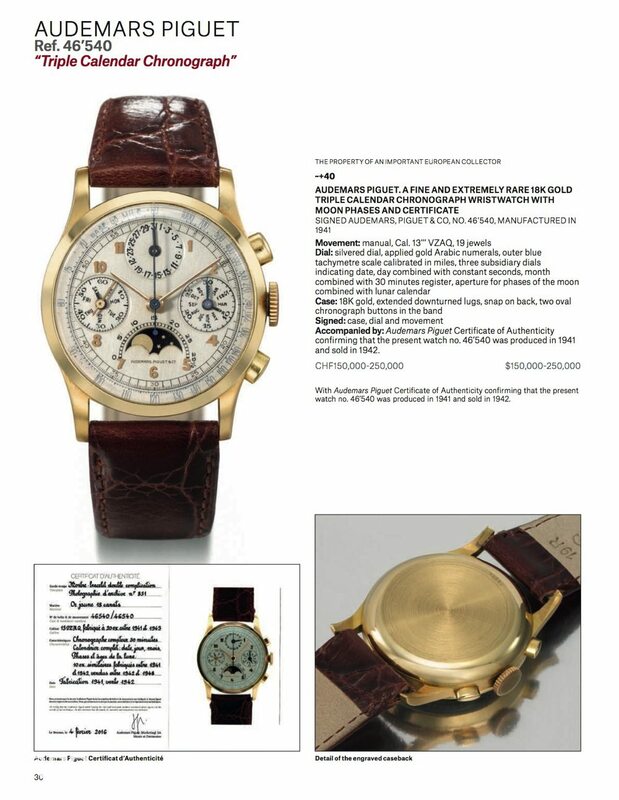 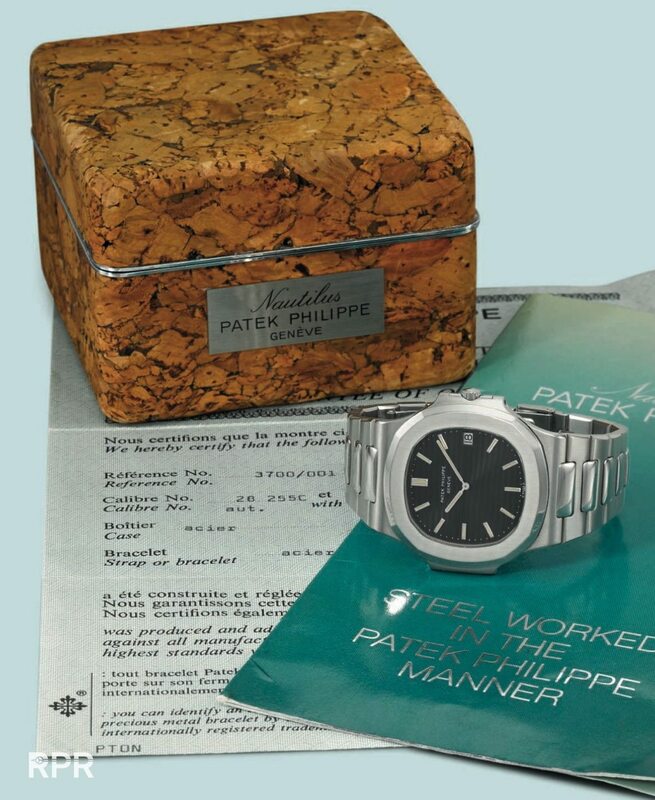 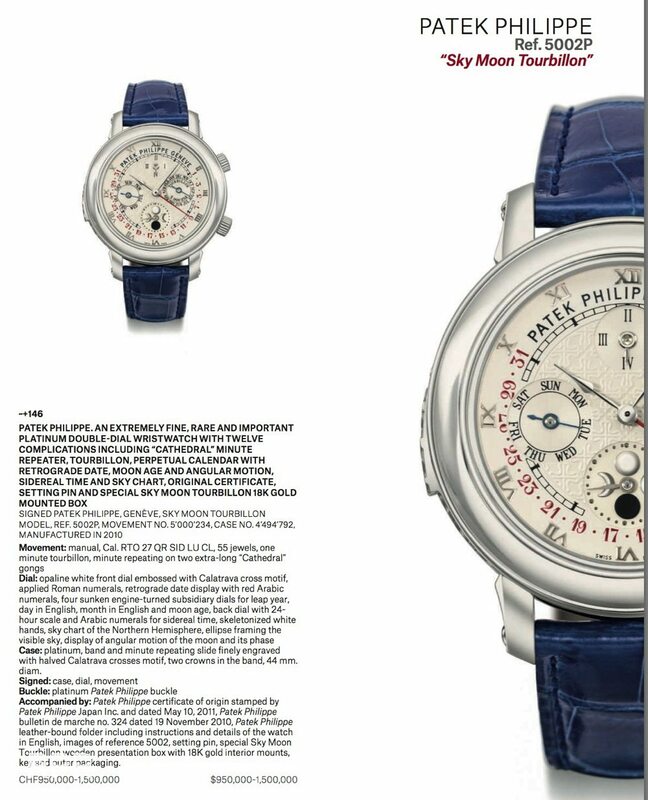 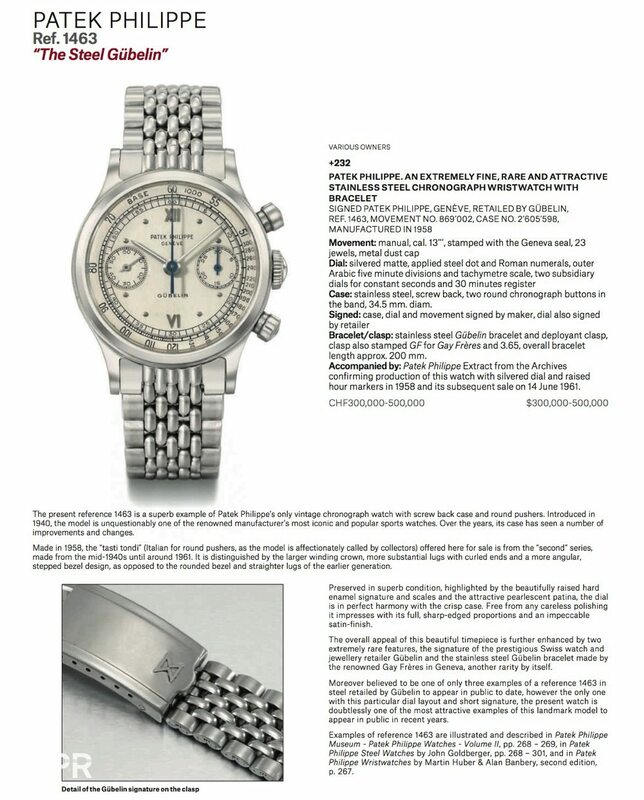 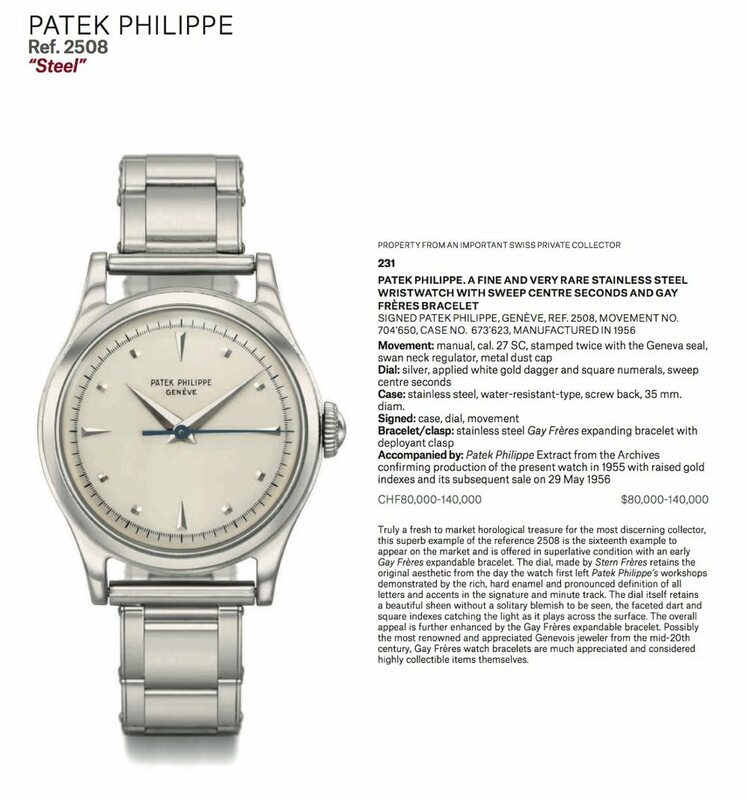 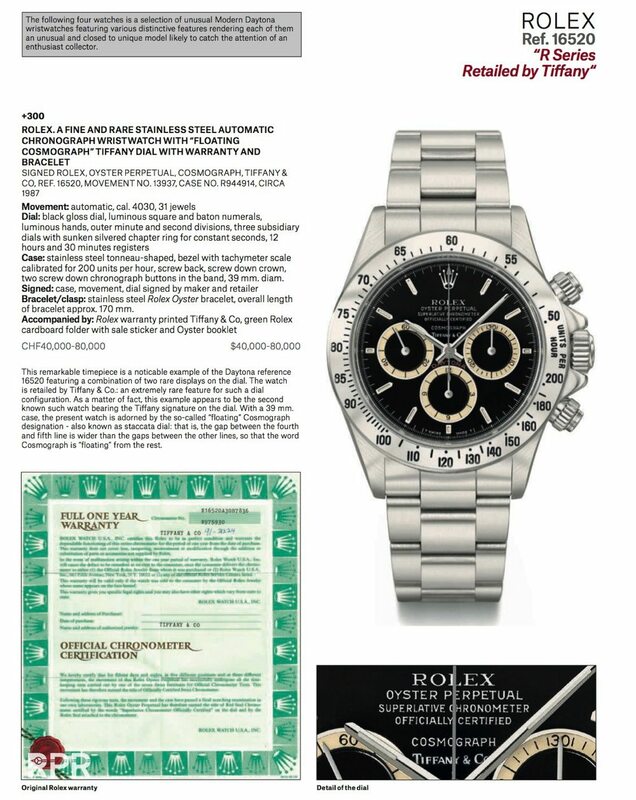 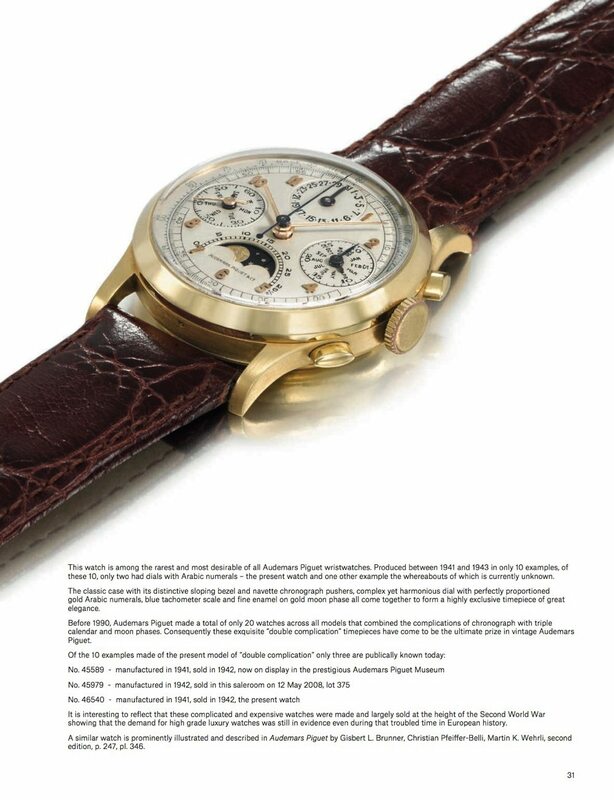 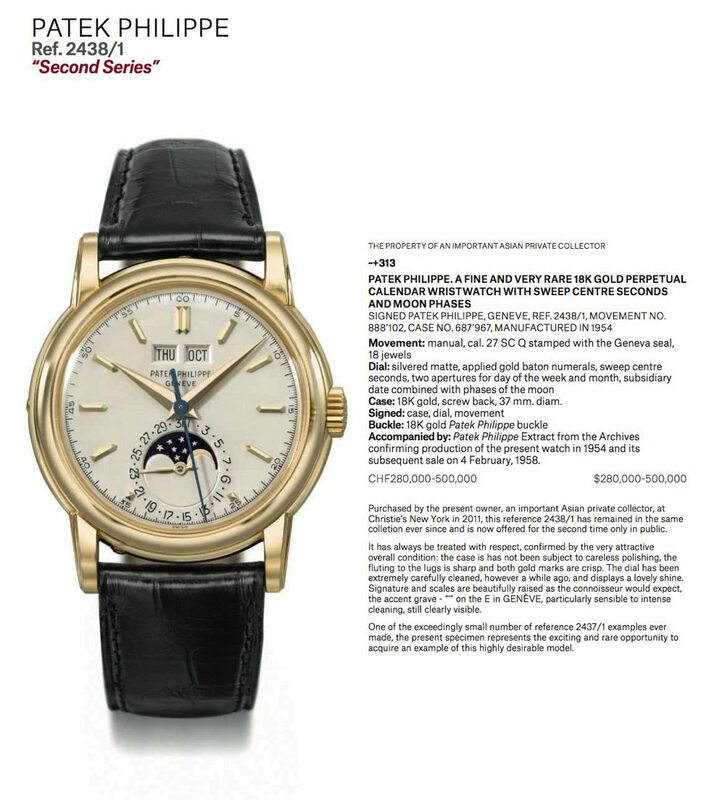 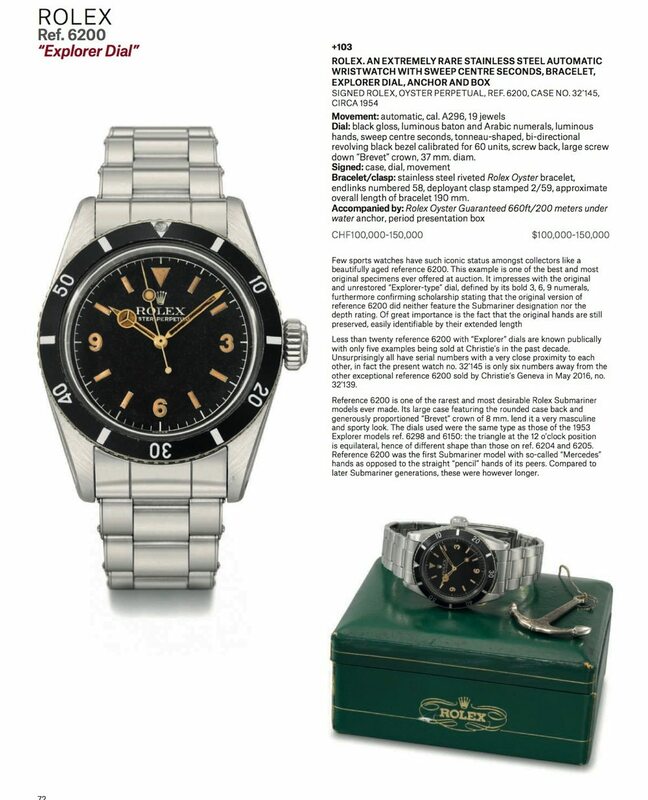 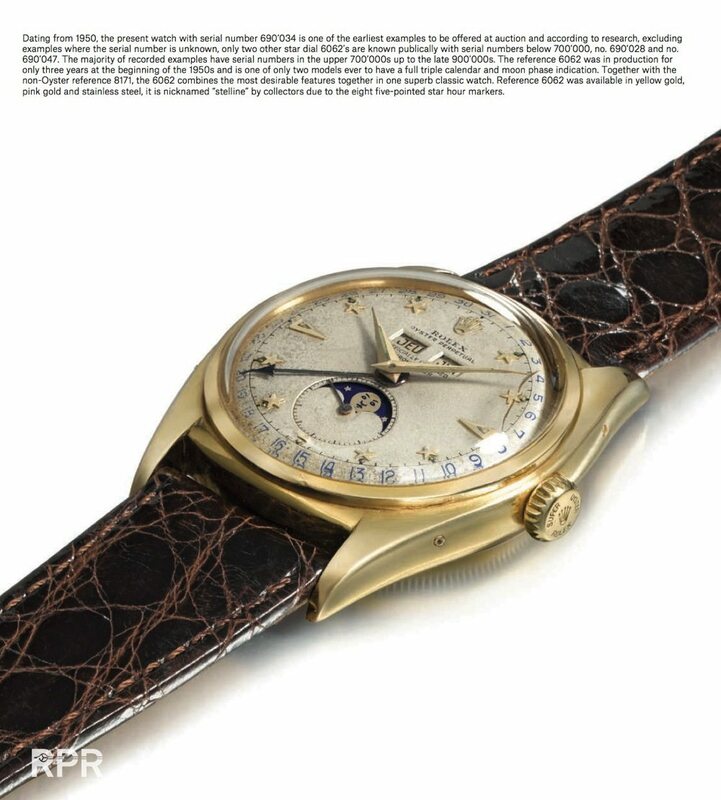 Then a Sky Moon ref 5002P with an estimate of 900K to 1.5 million…..
A piece unique AP minute repeater Ref 3207 estimated at $250-500K…..
Then some examples for the Christies 40th anniversary Patek Philippe Nautilus sale…. 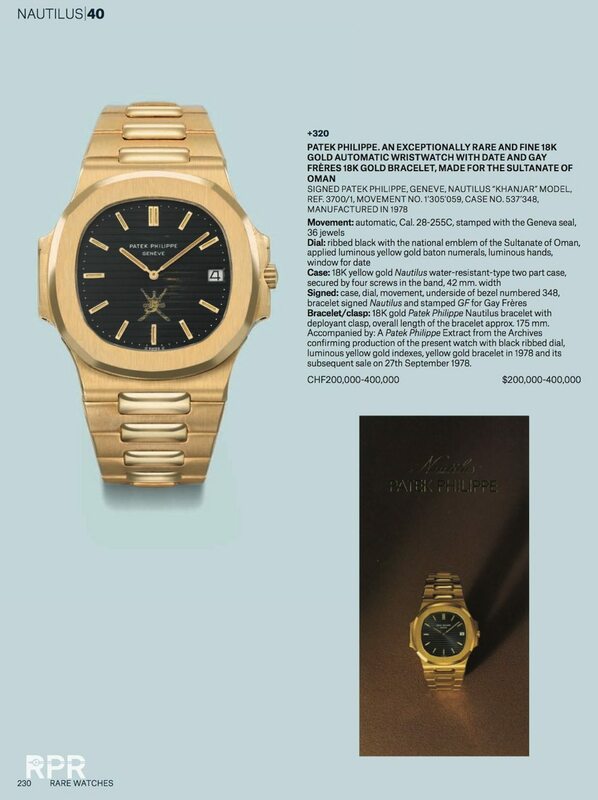 Oman gold ref 3700 estimated at $200-400.000,=…. 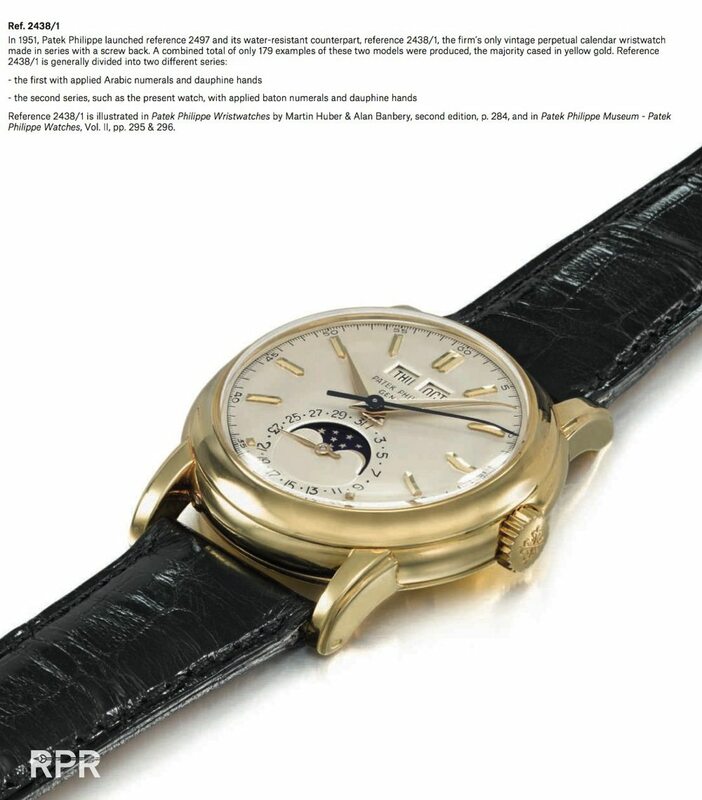 If you want to have some more detailed information, contact the specialist in Geneva Watch Department. 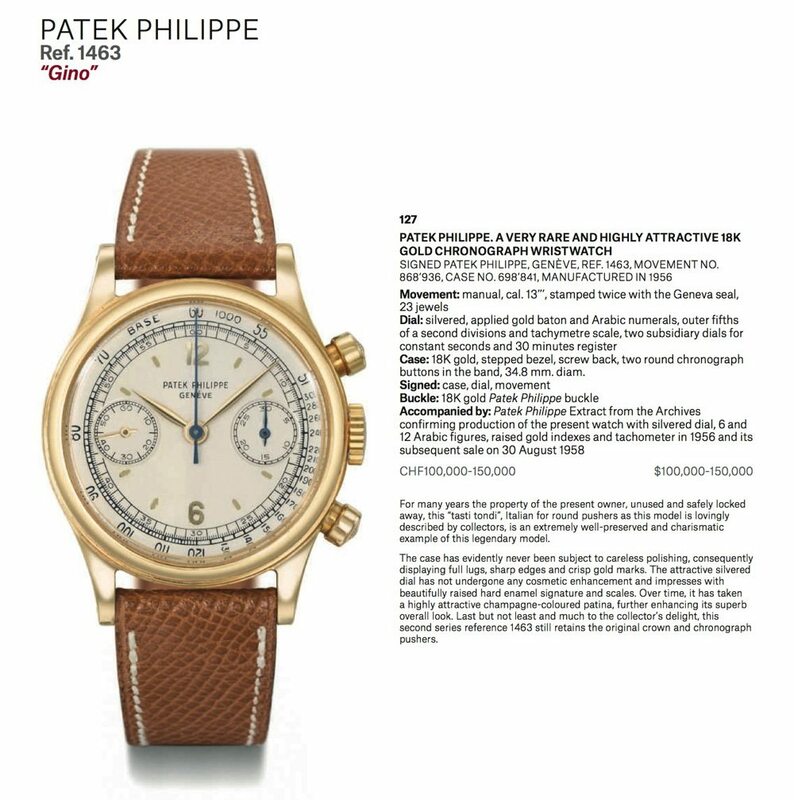 This post was written by Philipp on October 12, 2016.